According to the latest research from Counterpoint’s Market Monitor service, the Latin American (LATAM) Smartphone market has declined by more than 7% YoY due to economic uncertainty in four out of the six major countries in LATAM. Colombia, Brazil and Mexico’s markets were affected by presidential elections. These elections brought uncertainty to the economy and hence altered consumer purchasing behavior. 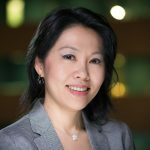 Commenting on the Latin American market development, Counterpoint’s Senior Analyst, Tina Lu, highlighted, “The replacement rate of local consumers is noticeably slowing. The cost of purchasing a new smartphone is a major investment for many consumers and, in most cases, they pay for their devices in 18 or 24 monthly installments. There is, therefore, a strong desire to make the smartphone last longer than the installment payment period. This change in user behavior has also brought a new level of importance to after-sales services. This has knock-on benefits in driving more business to companies providing after-sales service and refurbished smartphones”. Samsung remains the absolute leader in the LATAM market. However, it lost around 1% share. Samsung’s unit volume decline came mostly from Argentina, Chile and Brazil. Argentina’s market contracted by more than 40% YoY. Motorola managed to retain its share, despite its decision to gradually decrease the volume of its bestselling C-series models and in the face of stiff competition from other Chinese brands. Motorola grew in markets which were traditionally a challenge for it, such as Colombia, where it managed to achieve more than 50% YoY growth by increasing its share with local operators. Huawei has double-digit growth in most of the region’s markets in which it operates. The one exception was Argentina where its volume reduced by more than a quarter YoY due to the company’s decision to outsource sales and distribution – a process that is not yet finalized. LG’s business has been the most impacted. LG remains in the top three brands in Brazil, the largest market in LATAM, but it was not enough to offset a sharp drop in most other markets in the region. Mexico was the only country, in LATAM, to be included in the first round of the latest iPhone launches. In all the other countries, Apple launched its latest iPhone models between October and November. International brands still dominate the LATAM smartphone ecosystem, Samsung is the best-selling brand in this group. Although some Chinese brands such Huawei and Xiaomi enjoyed strong performances, the Chinese brands’ group had only around 2% growth, offset by the decline of other Chinese brands such as Alcatel, Lenovo and ZTE. Regional brands grew by 1% driven by the increasing numbers of local brands that managed to enter the distribution channel of most LATAM’s carriers. Brazilian local brands such as Multilaser or Positivo also drove the growth of these regional brands. 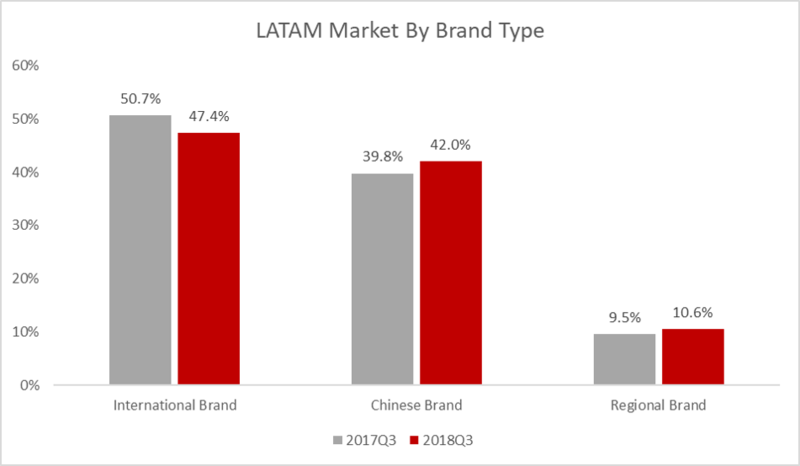 Chinese brands are expected to grow in the LATAM region, but not massively until 2020 as two of the biggest LATAM markets, Brazil and Argentina will continue to effectively be closed to direct imports in 2019. 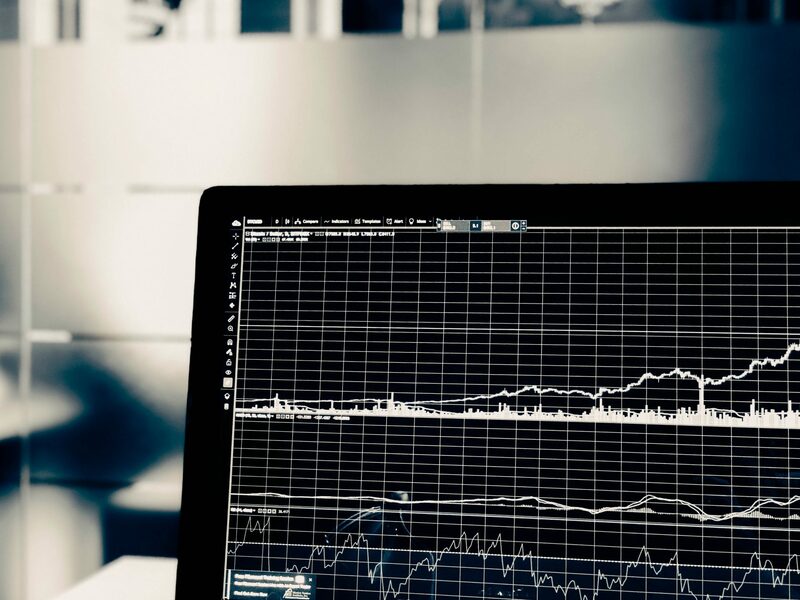 LATAM’s overall market will likely return to growth in 2019. Partly due to an easy comparison with a depressed 2018 and because many of the events that have caused the slowdown in 2018 will have passed.